If you don’t have a process or tools in place to help scale your support team, you’ll be reinventing the wheel each time you onboard a teammate – redirecting precious time and resources away from the customers you should be helping. Support reps come from diverse and often far from technical backgrounds. It may seem overwhelming to bring them up to speed on every aspect of your product, workflow, resources, company voice and common customer questions. However, by capturing the great work of your current rockstar support reps, you can ramp up your support team in a cohesive and timely manner. We use tools that are baked into Intercom to do each of these jobs (and you can too), but any online business likely has similar resources at their disposal. A support team is going to have a lot of non-technical hires, and setting them up for success, while difficult, is one of the most important things you’ll do. A huge part of a support rep’s day is managing their workflow and continually iterating on how they tackle difficult conversations. These key concepts are hard to put into a training manual without real life examples. Instead of creating examples or having your new reps guessing about what these conversations and workflows look like, give your new support rep the chance to take a look at real life conversations your team is having with your customers in real time. If you’re hesitant about having someone new taking a look around your real data, you can add some bumpers to your new support rep’s lane with Restricted Access. This restriction will prevent them from exporting user and company data, assigning conversations, deleting messages from the inbox and sending messages to more than one person at a time. This feature is excellent for learning while reducing the risk. Once your support rep is in your Inbox, they will start to get a feel for all the different types of questions your company deals with. They will get to see difficult conversations and common questions, and they will develop a sense for how feature requests, handovers, follow ups and updates are handled. While navigating through these conversations, if they find one they’re curious about or want to follow along with, they can add what we call a learning tag. A learning tag allows someone to search the Inbox for all of these conversations each week to review them and see how a current support rep handled them, along with how often they followed up and how they ultimately resolved the issue. After reviewing, the rep can delete the tag so that next time you search these conversations, you’ll know exactly where to pick up. If a conversation has a lot of back and forth and isn’t fully resolved, keep the tag on to follow up on how the conversation was resolved. To take this a step further, have your team set goals for how many learning tags you’d like each teammate to add to conversations while training. As training continues, encourage those who are onboarding to sort the Inbox by the longest wait time and add a learning tag whenever they come across a conversation they are unsure about. After onboarding, this can be continued as well. At Intercom, our product is continually changing as new products and features are released. Learning about these features right away is key to helping our customers adapt as well. Adding a learning tag on a conversation allows you to learn from each other throughout your tenure and encourage continual learning on the job. External resources and tools you use each day may seem intuitive to you but not necessarily someone new coming on to your team. Creating an aspect of your onboarding geared towards helping your team learn and become aware of what resources are available will save each teammate a valuable amount of time. Tools you use every day may include third party tools like Gmail, Text Expander, Slack and also resources within Intercom like Saved Replies, similar conversations or Help Center Articles. These tools and resources will help your support reps ramp up more quickly and will benefit their efficiency. 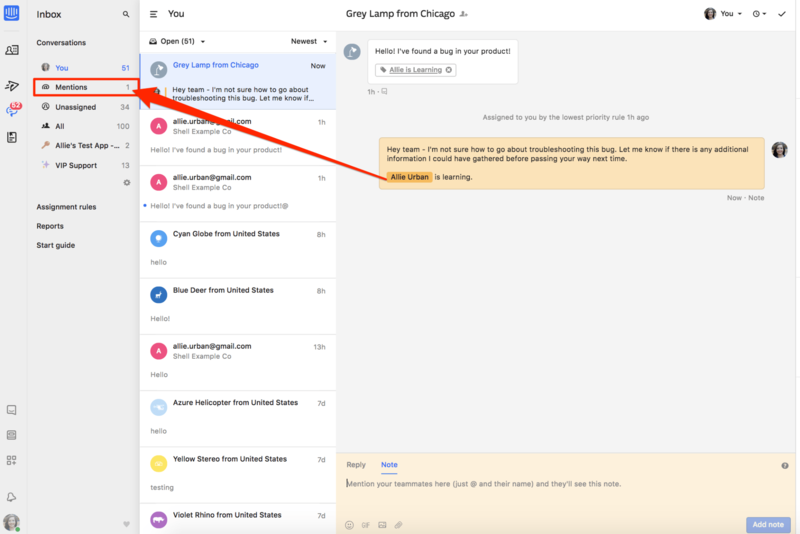 Familiarizing yourself with what Saved Replies are available is a great way to start learning the answers to common questions your customers ask. 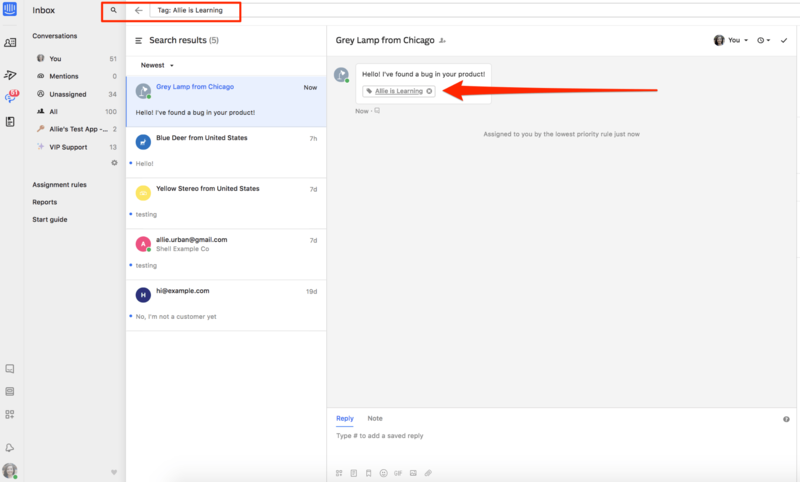 Another tool you can utilize from within the Inbox is Smart Suggestions. Operator will suggest three articles based on the question your customer asked. You can use this to start learning what Help content your company has available, what features are capable of and help you to recognize which articles will be most helpful in certain situations. Familiarizing your team with the help content you already have at their disposal will save time for your teammate’s day to day workflow and during the onboarding process. Having support reps that know exactly what information is within each of your Help Center articles will also ensure that your customers are receiving the best and most timely responses possible. While someone is ramping up, they aren’t going to be able to handle each and every conversation. For example, if a customer needs additional engineering support to look into a technical issue or a customer wants to speak with a designer about the newest brand refresh, it’s important for your new hire to follow up on these conversations to see how they were resolved. This way, they can potentially handle the conversation the next time around. Within Intercom, teammates are able to add an internal note within a conversation when they reassign the conversation to a new team or teammate. Whenever a new hire escalates a conversation to another teammate, suggest that they @mention themselves in the note first. This way, the conversation will show up in their own @mention Inbox and they will be able to follow along with the conversation. This way, they will learn how to either ask better follow up questions to help the assigned engineer solve the issue, or they will learn how to resolve this particular issue themselves. Ensuring that new support reps follow up on conversations is key to developing product knowledge, creating a better customer experience. Another way to follow up on previous work is to have your support rep sort their Inbox conversations by closed conversations to review later on. By reviewing old work, they can determine what they could have done differently, what they did well and strategize other possible solutions or workarounds they could have suggested. Bringing new members of your customer support team up to speed is a difficult task. Not only do you have to train them on how to use your tools and resources, you also have to teach them how to be an expert with handling customer conversations and how to answer in-depth product questions. Getting your team comfortable using Intercom while they’re learning all aspects of your support process will help them ramp up quickly and proficiently. It will also encourage continual learning and collaboration. You shouldn’t have to reinvent the wheel each time a new support member joins your team. And remember, the faster a new support rep becomes an experienced teammate, the sooner they can help the next support rep in the same way.